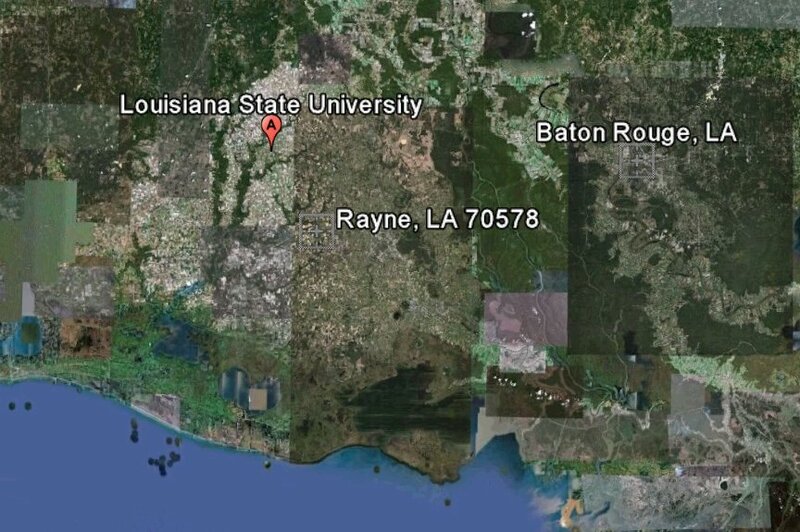 Ufos reported over Baton Rouge Louisiana - did you see it ? 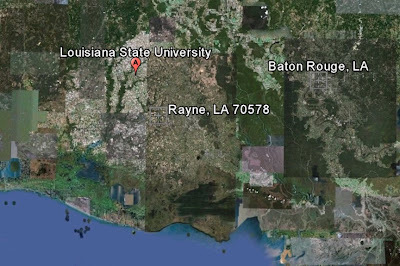 Multiple reports in and many emails over the last week about ufos over Baton Rouge Louisiana near Louisiana State University. If you also spotted the ufo we would like to hear from you as a reply to this post. Note: many people saw this! Filmed September 26 2011: - Suggest watching in full screen. Globe or cone shaped object hovering over southern baton rouge, la at 9:05am local time, if object was size of small acft then was at about 10,000 msl if was balloon then possibly 15000-20000 msl. object was stationary, and reflectes sunlight very brightly. as glint from sun disappeared objects approx shape was observable. scattered clouds at about 200010 msl wind was from the north approx 10-15shape kts. i have been a pilot since 2003 and cannot identify object. We sent a report into mufon - myself and spouse witnessed 6 craft!. I saw the object in the daylight at around 9am local time. Im not sure if it had lights but the videos I saw made me think of a saucer and the object I saw was either spherical or cone shaped. There were typos in my original post, the clouds were at 2000 msl not 200010 lol. But the what made this a tricky craft to identify was the fact that the cloud layer was drifting south at 10 to 15 kts. If the object was say the size of a Cessna it would've been close enough to observe movement along its flight path. This object was hovering. It was close enough to see that it was not a helicopter, if it was a large balloon, then I would estimate its altitude at about 10000 msl which would've been too high for a passenger balloon. If it was a weather balloon (which was my first guess) then its altitude could've been as low as 7000 msl. You can bet if the wind is pushing 10 kts at 2000 then its probably pushing 20-30 up at 7000-10000. No balloon is going to just hang there in that kind of wind. But there it was, just hanging out. I can't explain it. i was seeing except these videos were older posts, its october 31, 2011. Where exactly on the river were these sightings witnessed? I seen this same white flashing lights (several of them) during dusk being chased off by fighter jets. Glad someone else caught it! I was not in the city for this occurrence, but I saw something abnormal in Baton Rouge a few years before (either 09 or 10). It was daytime and I was driving on Burbank away from LSU towards Lee and saw a group of fireballs in the sky falling at a very fast speed, probably northeast of where I was at the time. They suddenly stopped falling mid-air, made sharp turns, and started flying all crazy (I think in sort of figure-eights, sorry this was a few years ago)until they eventually disappeared. Wasn't sure what I was seeing, but it gave me chills at the time and was NOT normal. My friend tried recording it on his cell phone, not sure if he still has the video.